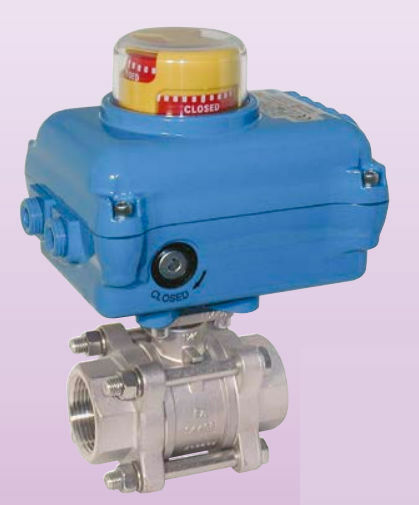 The electrical actuator is specially designed to operate 2-way and 3-way ball valves and butterfly isolating valves. It is noted for its compact design, with the gear section fully isolated from electrical components and cable connections. The valve stem is attached to the actuator end of a speed reducer that is driven by a series-connected electric motor. Two standard limit switches and the position indicator deliver electrical and visual feedback. You can manually reset the valve with the emergency manual operation facility if, for example, the power fails. Actuator, adapter and valve are perfectly matched and supplied as a complete unit for faultless operation.